Great review. Really like all the screen shots! It helps to see how deep this app is. I agree with the preset manager on these apps. Not my favorite. But good to know you can import from the other PPG apps. 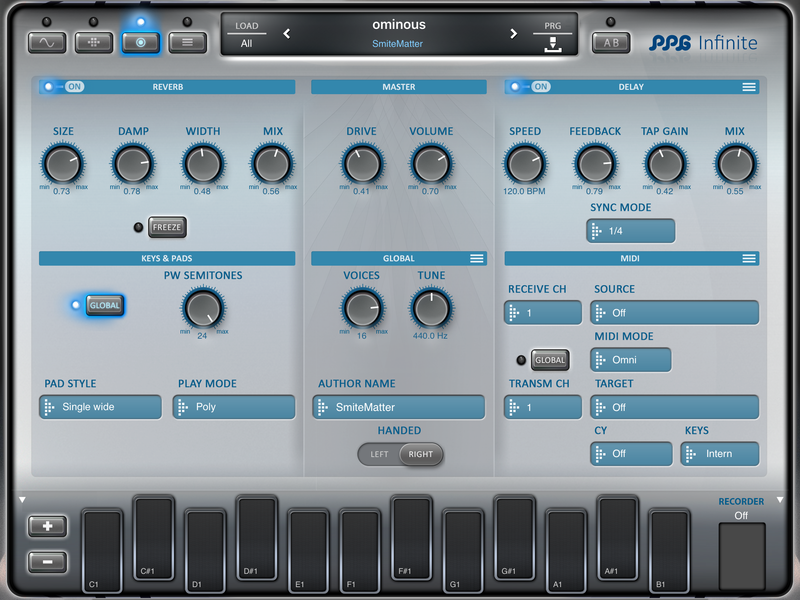 I am interested in making many different tones while holding down one key ….. that is my kind of synth! Interesting to hear your thoughts on Wolfgang’s latest release. 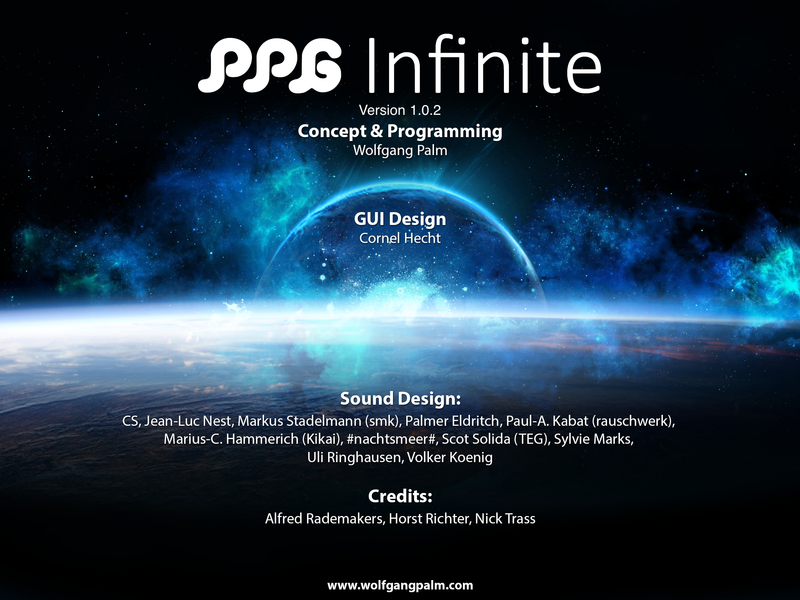 I agree that it is always great to see new software instruments that bring something new to the table, we have plenty of classic emulations already. I’m glad you think the GUI is well laid out, as this makes it less daunting in a synth with such deep editing options. The preset A B edit function will come in handy, I’m sure! Being able to easily create patches that sound like multitrack recordings? 😀 Definitely high up on my wish list! 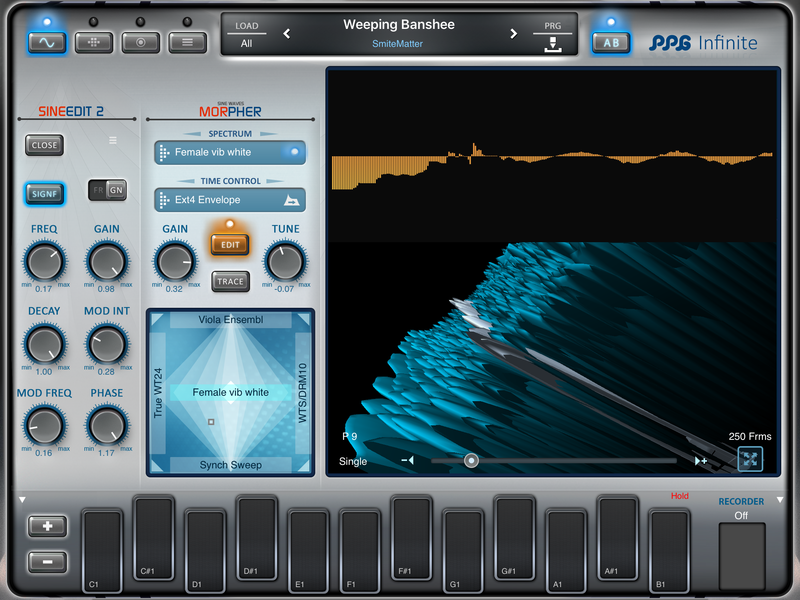 A good balanced review, I have owned Wavemapper and Phonem for a while, but haven’t really conquered them yet. These apps are pretty deep. Great review, i have noticed some people complaining that this synth isn’t doing anything new and I don’t think they have spent quality time with it. 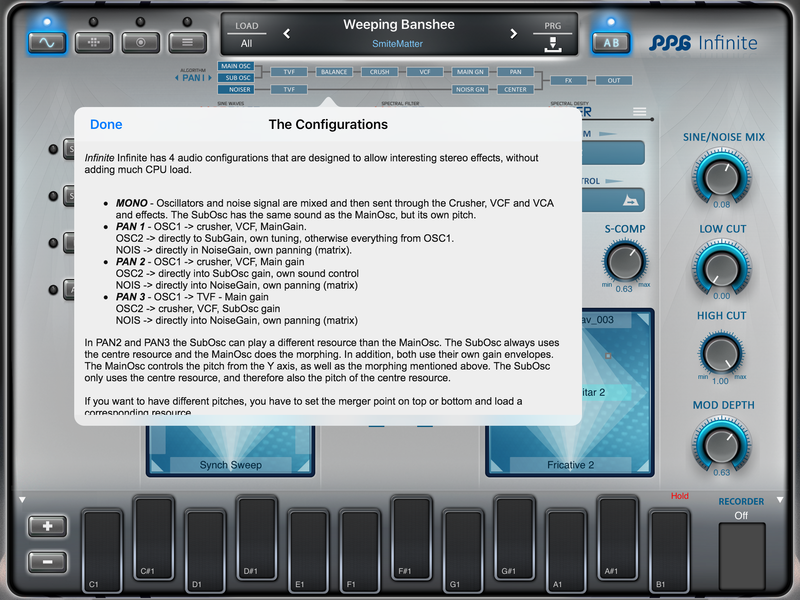 I agree about the preset management of these apps, it can get confusing and the ppg stuff is already fairly complex. 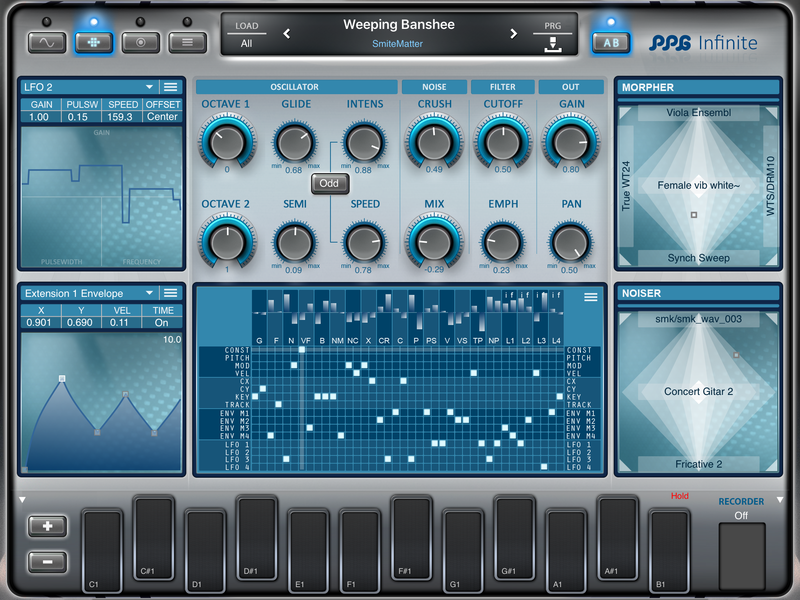 Have yet to get this one but his other synths are among the best sounding on iOS to my ears! I’d be interested in hearing the different tones that can be created with this app and compare it to the other great iOS synths Animoog and Nave. I’m using PPG Wave on my PC laptop. Despite the fact that I find it rather complicated, I like it, because it’s noticeably different from other synths and sometimes this is just what you need. I expect that iOs versions are traditionally more user-friendly (well, judging by the review the synth is still quite complex and requires in-depth study but it’s ok:) ). at the same time, according to the review, it has vast opportunities, so this definitely can be interesting. Can it be used as an AU? Found your email actually. I send you a code. Cheers. 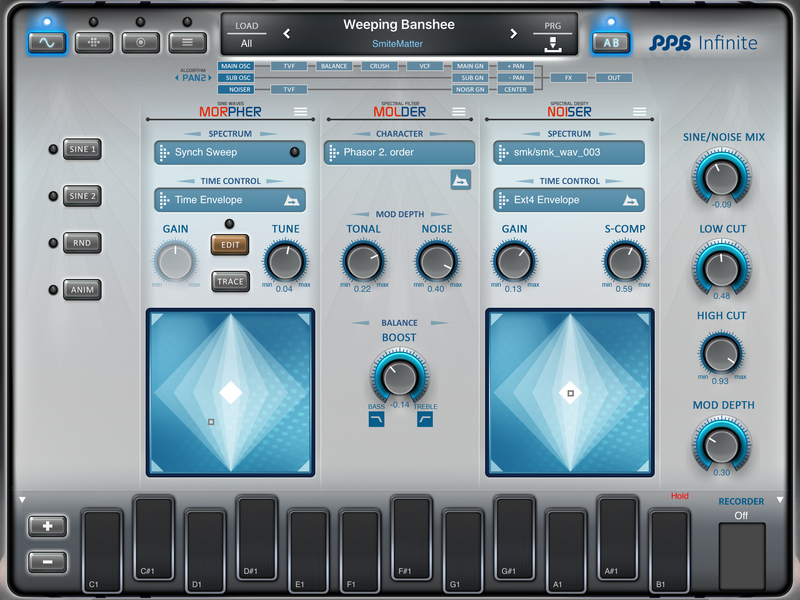 Weeping Banshee is not an included preset. It is a custom sound I made.